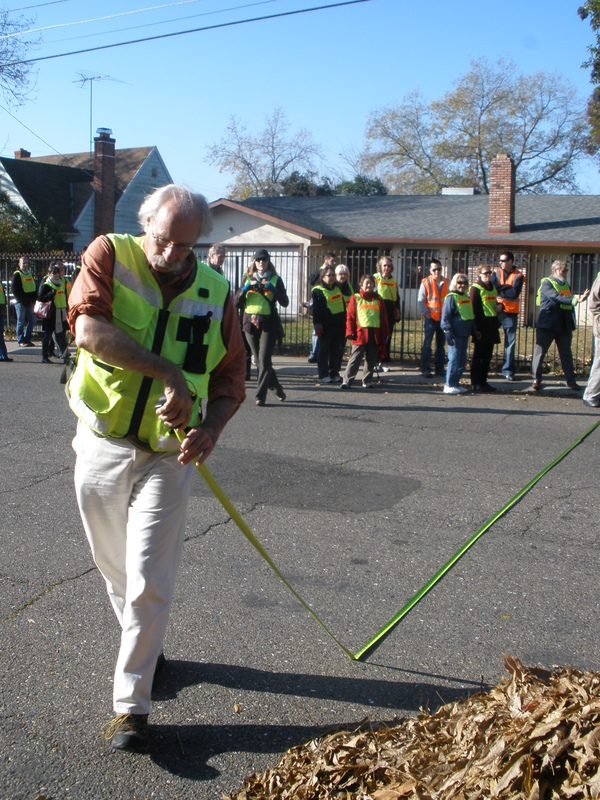 WALKSacramento, AARP and over fifty participants including advocates, local planners and transportation staff had an exciting and informative time on Monday, December 19 as Dan Burden led a walk and workshop at the Fruitridge Community Center, 4000 Fruitridge Rd, in Sacramento. 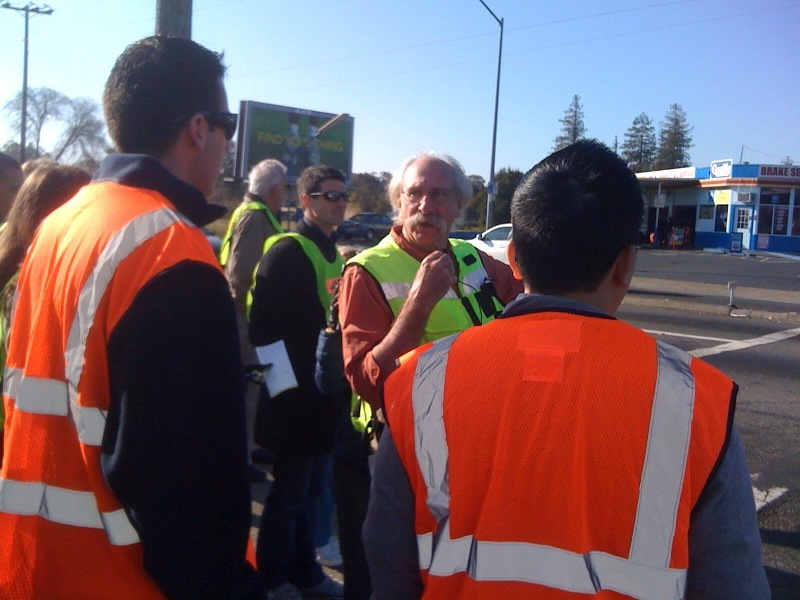 The morning started off with a presentation by Burden on what makes a walkable street and thriving neighborhood, followed by a walk audit down Fruitridge Road, up 44th Avenue and then a challenging trek across Highway 99 to the busy and active intersection of Franklin Avenue. The theme for the day was Active Living for our growing senior population. Regional planning projections see a ‘graying’ region, with more residents looking for smaller living space, and access to goods and services that don’t require driving a car. What can we do to meet this challenge? 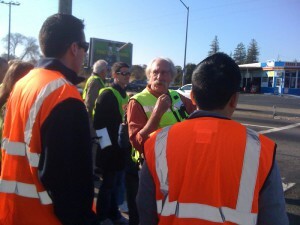 How can we design our roads, draft our plans, and develop our new and existing roads and communities to meet the future? Participants reviewed a summary of the region’s Sustainable Communities Strategy/Metropolitan Transportation Plan and signed a petition. – For more on what you get from a walk with Dan Burden, check out his video here. Next steps, looking at ways to work with our partners to bring his views and recommendations for the Fruitridge Road corridor to life and to continue work with our state and local partners to make our communities safer, healthier and more sustainable for all of us, regardless of age or ability. Add your voice to the call for safe and sustainable planning here. We will be posting our comments soon, for your reference.